• 2,025 sq. ft., 3 bath, 3 bdrm 2 story "Contemporary" - MLS $178,000 - Bright, Light & So Nice! 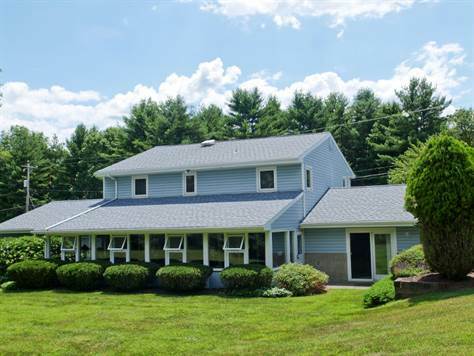 Shady Oaks, Ross Township - Easy living inside and out. Very bright, cheerful interior, nice sunroom, lots of windows. Extensive decking and a level yard for outdoor enjoyment. 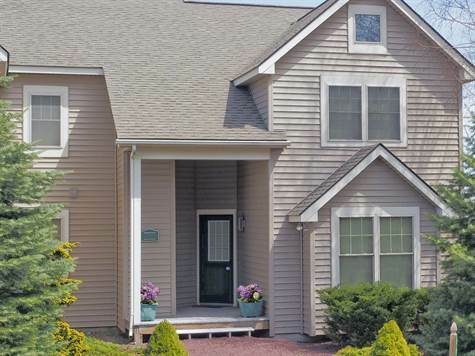 Convenient location with easy access to Route 33. 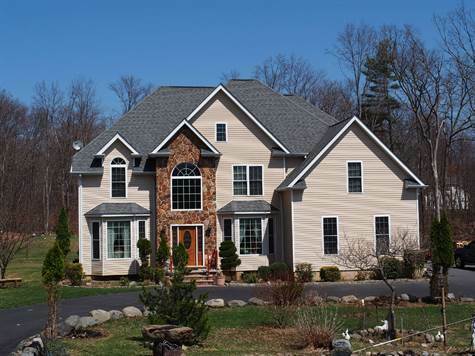 Old McMichael's Estates, Chestnuthill Township - Announcing a price reduction on 12 Rollingwood Trail, a 2,035 sq. ft., 2 bath, 4 bdrm single story. Now MLS $200,000 - Just Reduced!!. • 1,650 sq. ft., 2 bath, 3 bdrm bi-level - MLS $129,000 - Nicely Updated! Estates at Great Bear, Middle Smithfield Township - Sensational style, elegant yet comfortable, superb quality. Grand entry with marble floors and curved marble staircase. Viking mega-range centerpiece of heart of family living kitchen. Soothing library with rich built-in cabinetry, concealed refrigerator. Outdoor fireplace, fountain, two patios with golf course (Jack Nicholas designed) views. Wonderful country club lifestyle. Upper Mt. Bethel Township, Northampton County - Room to roam both inside and out. Spacious rooms and lots of storage areas. Vaulted ceiling and stone fireplace in the Great Room. Generous sized kitchen with 42'' cabinets. Master suite has luxurious bath and extra-large closet. Gameroom in basement with other areas nearing completion. Most attractive landscaping, incorporating bridged pond and very nice patio. Country setting so convenient to I-80. Historic Hill Section, Stroudsburg Borough - Grand old multi-family in the heart of Stroudsburg, desirable Hill Section. Four apartments, one of which is 2000 square feet, beautiful woodwork, hardwood floors. A wonderful opportunity for investors. Hamilton Township, Monroe County - Beautifully cared for, designed for comfortable living. Very large family room with brick fireplace. 3 sliding glass doors to wonderful sun room. Level landscaped lawn with lovely mature trees. Rural yet convenient location, low taxes. The Woodlands, Pocono Township - Very nice quality, with hardwood floors, solid wood floors, 42'' kitchen cabinets, plus island and butler's pantry. Walk-up attic if more space is needed. Enormous deck, level back yard. So convenient to shopping, medical facilities and highways. From Bartonsville: Rte 611 to Rimrock Rd. Right on North Easton Belmont Pike, Right on Running Valley Rd, Left on Chestnut Dr, Left on Marick. House on Left in cul-de-sac. Brand new for you! Appealing home with extra nice touches. Wide baseboards, wainscoting, hardwood and tile floors, some carpet. The kitchen has a butcher block island and a breakfast nook. Stone fireplace in the family room. Walk-out basement plumbed for another bath. 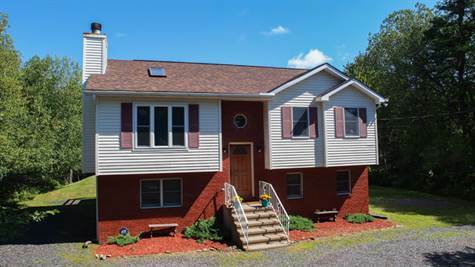 Small country neighborhood of two-plus acre properties, yet convenient to highways and services..
Northside Heights, Jackson Township - We invite everyone to visit our open house at 105 Marick Lane on October 19 from 1:00 PM to 4:00 PM. Pocono Farms, Coolbaugh Township - Announcing a price reduction on Mohican Lane, a 2,824 sq. ft., 4 bdrm 2 story. Now MLS $189,500 - Sparkling Golf Club Home. 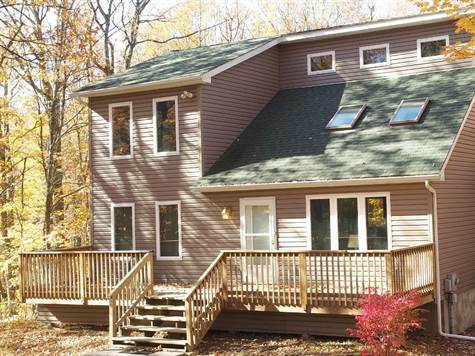 Stroud Township, Monroe County - Announcing a price reduction on 177 Tanite Road, a 1,547 sq. ft., 2 bath, 3 bdrm 2 story. Now MLS $170,000 - Low Cost of Ownership.